A high school injury was the turning point in helping Nicole Grevious select Athletic Training as her profession. “I was an athlete in high school and I tore my ACL (anterior cruciate ligament) and had surgery,” she explains. After high school, Nicole received her Bachelor of Science degree from James Madison University in Kinesiology with concentrations in athletic training and pre-physical therapy. 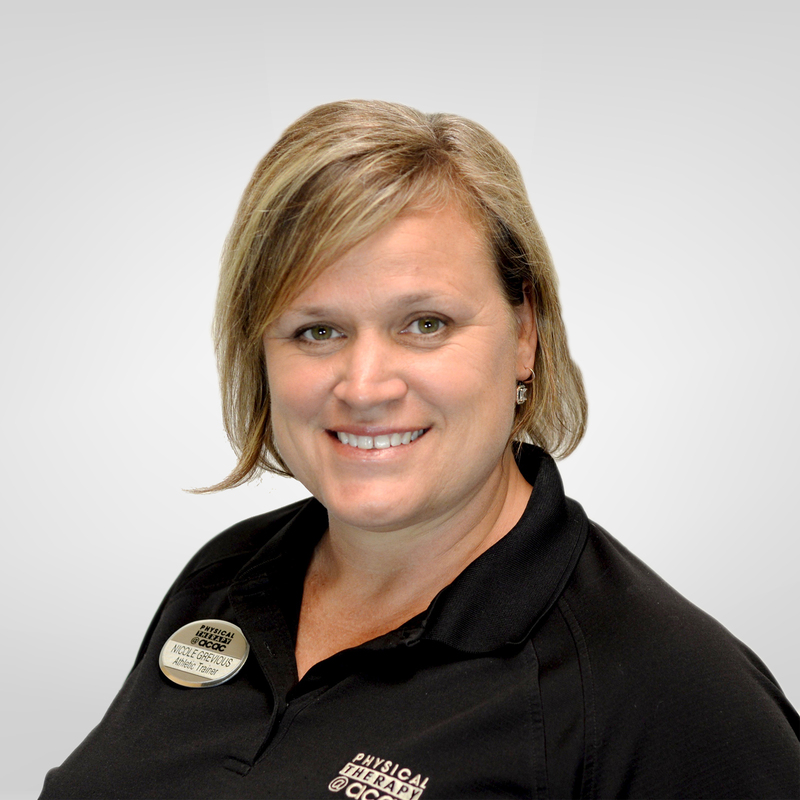 She worked for 10 years in physical therapy clinical settings as an athletic trainer. Today she specializes in prevention on injury, particularly the prevention of ACL tears in female athletes. She handles performance enhancement and conditioning programs, assessment of athletic injuries, foot/ankle injuries and soccer specific injuries including sprains, strains, concussions, shin splints, heel pain and knee/hip issues. When she is not working she enjoys spending time with her three children, ages 16, 8 and 7, and loves singing, scuba diving, and anything that is on, in, or under the water.